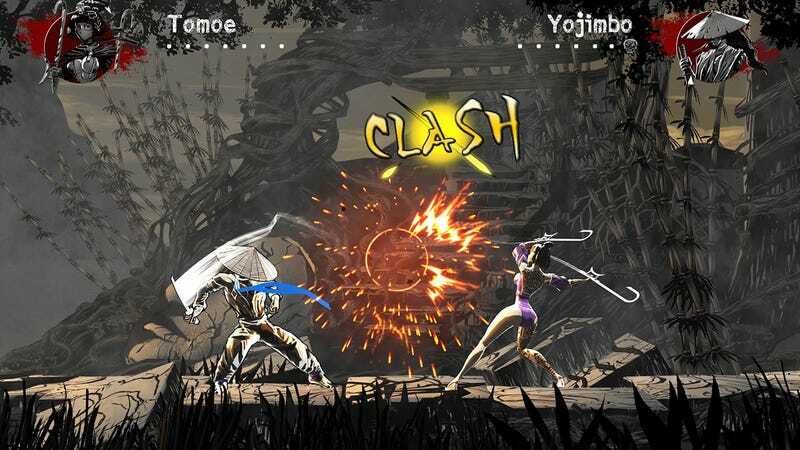 Slice Dice &amp; Rice is a fighting game with no health bars, where fights can end in a single blow. Slice Dice & Rice is a fighting game with no health bars, where fights can end in a single blow. It’s inspired by Bushido Blade, and the point is to out-think and out-maneuver your opponent rather than out-combo them. The art style is slick, too. Only thing I wish they’d change is the name. It’s on Steam Greenlight.